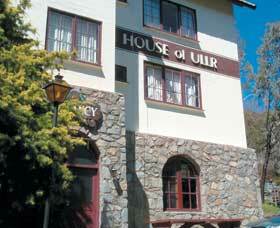 Thredbo's haus for all seasons is situated high in the village overlooking the mountain and Thredbo. Unsurpassed mountain views greet you on arrival at Winterhaus Lodge. 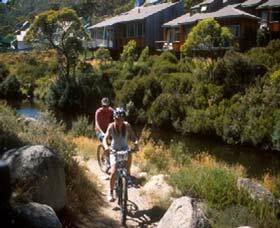 A warm friendly atmosphere that is sure not to disappoint awaits you where you can relax and enjoy what is sure to be a memorable time in Thredbo. 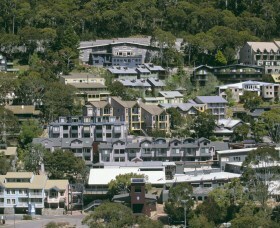 Located in the heart of Thredbo Village the new Snowgoose Apartments have fantastic mountain views and modern decor. 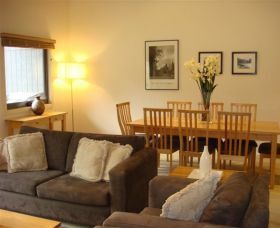 All one and two bedroom apartments have gas log fireplaces, washer and dryer and onsite parking. Studios have valet parking. The onsite managers are available to help make your stay as stress free and relaxing as possible. There are restaurants and bars nearby. 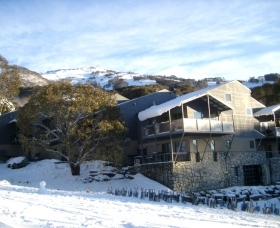 Snowbound Chalets Thredbo offer luxurious accommodation during summer and winter. With en suite, second bathroom, a choice of bedding configurations in the chalet lofts, the immaculately finished chalets offer everything for families and sheer luxury for two couples for their ski or summer holiday. 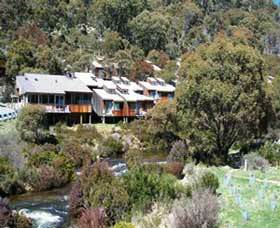 Poised above the whispering Thredbo River, overlooking Crackenback Range and the Thredbo Golf Course, these well appointed cabins are a short walk from the Village Square. 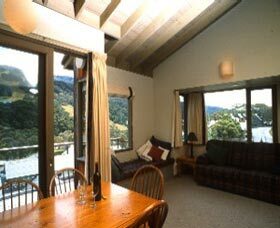 Kara's Apartments offer some of the best value for money in Thredbo. Kara's is located only a few minutes walk to the restaurants, shops and lifts and there is a shuttle bus stop located nearby for your convenience. The House of Ullr is named after the Norwegian God of Snow - the huge medieval doors, wood and stonework are reminiscent of Nordic culture. The owners of the Black Bear Inn pride themselves on personal, friendly service. Their aim is to provide the best ski holiday you have ever experienced. 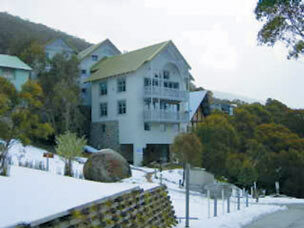 In the heart of Thredbo Resort, within walking distance to the lifts, sits a unique mountain inn specialising in personal service and gourmet food. 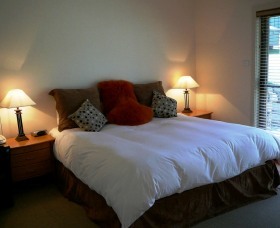 Comfortable and stylish, most rooms feature king beds and views. 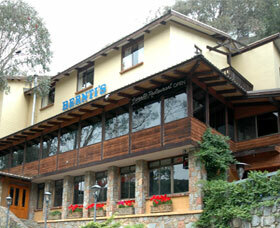 Bernti's has a wonderful restaurant with a lively bar and friendly cafe. There are also four family apartments with kitchenettes.